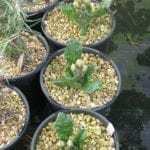 It is said that in 1998 botanists at the Denver Botanical Garden noticed a naturally occurring mutation of their ice plants. These salmon-pink flowering ice plants were patented and introduced as Delosperma kelaidis ?Mesa Verde.? Learn more here. 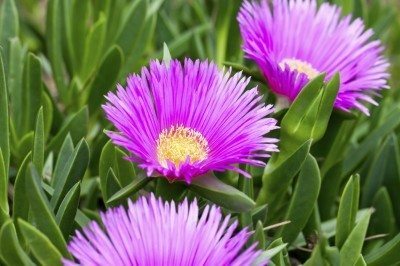 The super easy-to-grow hottentot fig ice plant has an invasive potential. In most gardens, however, the plant can be kept under control with little effort and the flowers are a cheery early season treat. Click here for more. Looking for a drought tolerant but lovely flower to fill in a troublesome dry area in your garden? 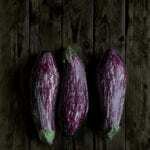 You may want to try planting ice plants, which can add a bright splash of color to the garden. Learn more here.